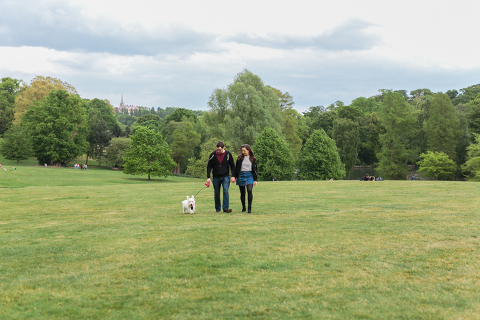 Here are Chris & Rebecca on their Hampstead Heath pre-wedding shoot a few weeks back with their cute little pup 🙂 This is somewhere special to them both, where they love to stroll and take in the magnificent views across London. It was little pup Huxley’s first visit and I think he very much enjoyed himself! 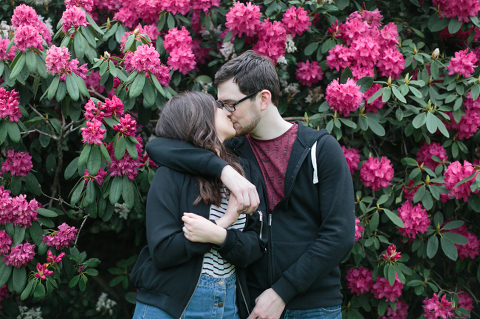 After a walk down to the lake and around the grounds, we headed up to Kenwood House flower gardens where the pink rhododendrons were in full bloom and then across to the house itself for more photos on the terrace. 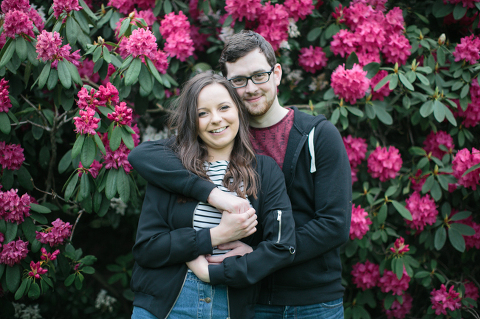 It was lovely to chat to Chris & Rebecca about all their plans for their South Farm wedding and I can’t wait to shoot it! 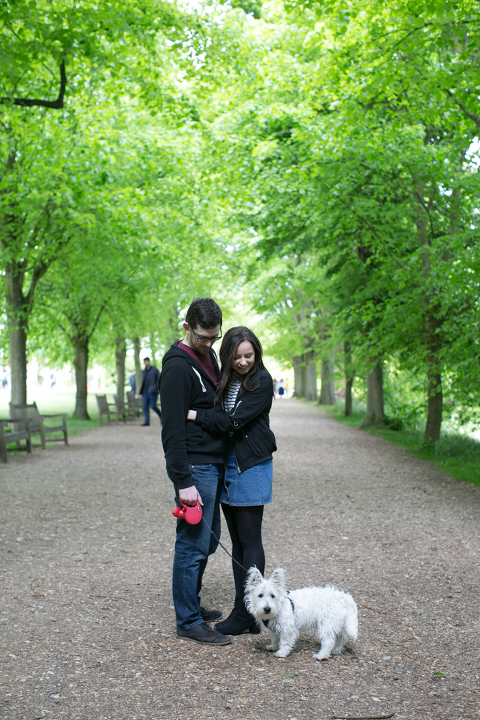 I highly recommend that all couples have a pre wedding shoot and get some fab and relaxed photos before the big day! 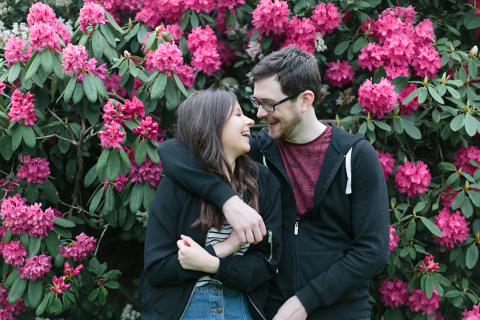 You can see more fantastic locations for pre-wedding shoots across Sussex and the South here.